Technology enables home care operators to efficiently track metrics within their organizations, from miles traveled, to visit duration, to receiving care and service delivery alerts in real time. But with all the data available today, it’s important to focus on the right data that ensures care is being delivered at the highest level – and in the most efficient way possible. 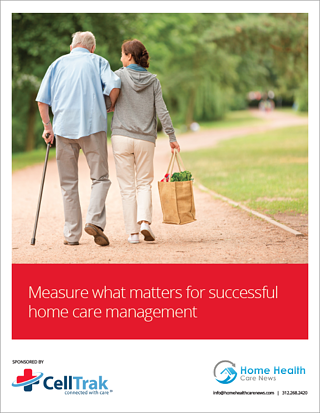 Hear from experts, Hospice Alliance, how they monitor and track visits. "By tracking visits, we can determine if there is someone doing something a little differently from other caregivers," says Kelly Gronli, Director of Clinical Services.